The Department of Agriculture has arranged the delivery of at least 20,000 metric tons of fish to Bohol next week and more in the forthcoming weeks as part of the DA’s bid to reduce fish prices in the province. According to DA Sec. 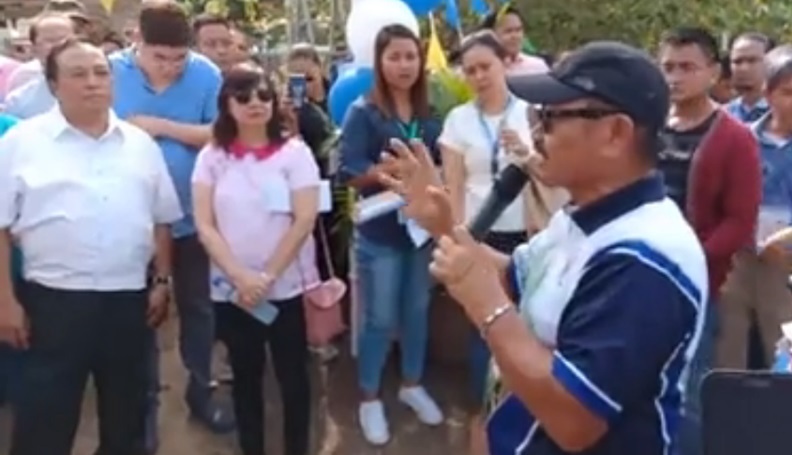 Emanuel Piñol, the launching of the Bohol Fish Market and the TienDA in Tagbilaran City was just the beginning of a long-term initiative to address the island-province’s problem on expensive fish. “Kining atong gihimo karong adlawa, basin maka-ingon mo og karon lang ni. This is only the beginning, sugod palang ni,” said Piñol. The Bohol Fish Market launch and TienDA activities, held from August 16 to 17, sold varieties of fish shipped from Mindanao, particularly Zamboanga, at the Agricultural Promotions Center in Tagbilaran City. Piñol, in a Facebook post, noted that the Bohol Fish Market will be open Saturdays and Sundays starting next week at the same venue until the DA finds a permanent location for the market. However, Piñol did not specify the amount of fish which will be supplied to the province in the next weeks. “Sunod semana naay gipaandam nga 20 tons, pero wa pay hibaw-e og 20 tons pa gihapon sa mga mosunod nga semana,” he said. The DA enlisted the aid of fishermen’s families and fish vendors in the province to sell fish shipped from Mindanao at the new market. “Ang kagandahan dito sa Bohol, ang tinap natin dito na magpapatakbo is a group of wives of fishermen and fish vendors. So talagang sila ang nagbebenta. So Binigyan natin sila ng capital,” said Piñol. The DA, through the Agricultural Credit Policy Council, allocated P5 million in loans for families of local fishermen and fish vendors as capital for their stalls at the market and in purchasing fish. Each beneficiary may be granted loans of up to P50,000 each, while the DA is seeking to extend the aid to 100 individuals who will sell the fish at the market. In the same Facebook statement, Piñol said that the Bohol Fish Market will later be developed into a tourism destination where the public can have sea-caught products bought at the market cooked. The Bohol Fish Market is the first provincial-level TienDA Project implemented by the DA and the Bureau of Fisheries and Aquatic Resources, while the same initiative is set to be carried out in other provinces. Both projects were launched by the DA a month after Piñol vowed to “flood the market of Bohol with fish” as he took notice of the province’s longstanding problem on exorbitant fish prices. He vowed to address the issue in 30 to 45 days.